A news magazine is a typed, printed, and published piece of paper, magazine or a radio or television program, usually published weekly, consisting of articles about current events. News magazines generally discuss stories, in greater depth than do newspapers or newscasts, and aim to give the consumer an understanding of the important events beyond the basic facts. Henry Robinson Luce was an American magazine magnate who was called "the most influential private citizen in the America of his day". He launched and closely supervised a stable of magazines that transformed journalism and the reading habits of millions of Americans. Time summarized and interpreted the week's news; Life was a picture magazine of politics, culture, and society that dominated American visual perceptions in the era before television; Fortune reported on national and international business; and Sports Illustrated explored the world of sports. Counting his radio projects and newsreels, Luce created the first multimedia corporation. He envisaged that the United States would achieve world hegemony, and, in 1941, he declared the 20th century would be the "American Century". Richard Allen Stengel is an American editor, journalist and author. He was Time magazine's 16th managing editor from 2006 to 2013. He was also chief executive of the National Constitution Center from 2004 to 2006, and served as President Obama's Under Secretary of State for Public Diplomacy and Public Affairs from 2014 to 2016. Stengel has written a number of books, including a collaboration with Nelson Mandela on Mandela's autobiography, Long Walk to Freedom. Stengel is an on-air analyst at MSNBC, a strategic advisor at Snap Inc., and a Distinguished Fellow at the Atlantic Council. Nancy Reid Gibbs is an American essayist and former managing editor for Time magazine, a best-selling author and commentator on politics and values in the United States. She is the co-author with Michael Duffy of The New York Times Bestsellers The Preacher and the Presidents: Billy Graham in the White House (2007) and The Presidents Club: Inside the World's Most Exclusive Fraternity (2012). 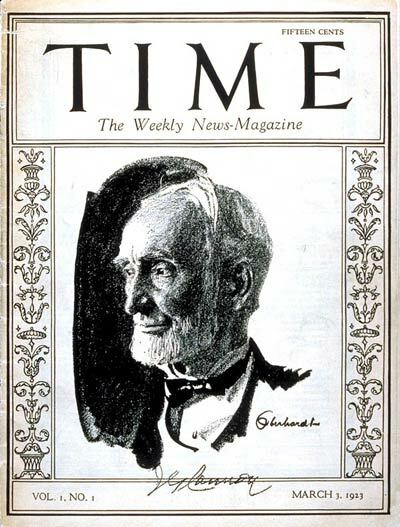 Time magazine was created in 1923 by Briton Hadden and Henry Luce, making it the first weekly news magazine in the United States. The two had previously worked together as chairman and managing editor, respectively, of the Yale Daily News. They first called the proposed magazine Facts. They wanted to emphasize brevity, so that a busy man could read it in an hour. They changed the name to Time and used the slogan "Take Time–It's Brief". Hadden was considered carefree and liked to tease Luce. He saw Time as important, but also fun, which accounted for its heavy coverage of celebrities (including politicians), the entertainment industry, and pop culture—criticized as too light for serious news. 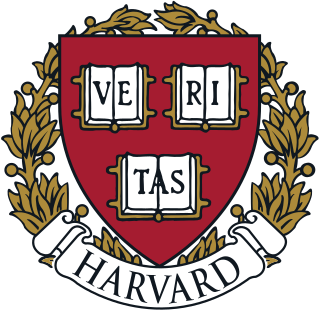 Briton Hadden was the co-founder of Time magazine with his Yale classmate Henry Luce. He was Time's first editor and the inventor of its revolutionary writing style, known as Timestyle. Though he died at 31, he was considered one of the most influential journalists of the twenties, a master innovator and stylist, and an iconic figure of the Jazz Age. Joseph Gurney Cannon was a United States politician from Illinois and leader of the Republican Party. Cannon served as Speaker of the United States House of Representatives from 1903 to 1911, and many consider him to be the most dominant Speaker in United States history, with such control over the House that he could often control debate. 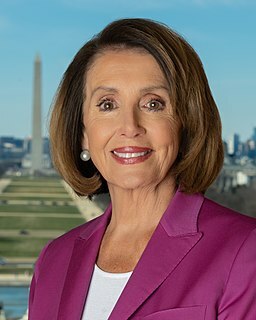 The Speaker of the United States House of Representatives is the presiding officer of the United States House of Representatives. 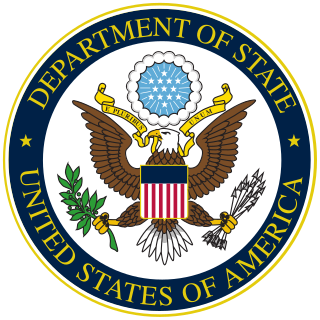 The office was established in 1789 by Article I, Section 2 of the U.S. Constitution. The Speaker is the political and parliamentary leader of the House of Representatives, and is simultaneously the House's presiding officer, de facto leader of the body's majority party, and the institution's administrative head. Speakers also perform various other administrative and procedural functions. Given these several roles and responsibilities, the Speaker usually does not personally preside over debates. That duty is instead delegated to members of the House from the majority party. Neither does the Speaker regularly participate in floor debates. J.P. Morgan & Co. is a commercial and investment banking institution founded by J. P. Morgan in 1871. The company was a predecessor of three of the largest banking institutions in the world, JPMorgan Chase & Morgan Stanley, and was involved in the formation of Drexel Burnham Lambert. The company is sometimes referred to as the "House of Morgan" or simply "Morgan". RKO Pictures is an American film production and distribution company. In its original incarnation, as RKO Radio Pictures, Inc. it was one of the Big Five studios of Hollywood's Golden Age. The business was formed after the Keith-Albee-Orpheum (KAO) theater chain and Joseph P. Kennedy's Film Booking Offices of America (FBO) studio were brought together under the control of the Radio Corporation of America (RCA) in October 1928. RCA chief David Sarnoff engineered the merger to create a market for the company's sound-on-film technology, RCA Photophone. By the mid-1940s, the studio was under the control of investor Floyd Odlum. Larsen next arranged for a 30-minute radio program, The March of Time , to be broadcast over CBS, beginning on March 6, 1931. Each week, the program presented a dramatisation of the week's news for its listeners, thus Time magazine itself was brought "to the attention of millions previously unaware of its existence", according to Time Inc.: The Intimate History of a Publishing Enterprise 1923–1941, leading to an increased circulation of the magazine during the 1930s. Between 1931 and 1937, Larsen's The March of Time radio program was broadcast over CBS radio and between 1937 and 1945 it was broadcast over NBC radio – except for the 1939 to 1941 period when it was not aired. People Magazine was based on Time's People page. In 1988, Jason McManus succeeded Henry Grunwald as editor-in-chief  and oversaw the transition before Norman Pearlstine succeeded him in 1995. As of 2012, it has a circulation of 3.3 million, making it the 11th-most circulated magazine in the United States, and the second-most circulated weekly behind People . As of July 2017, its circulation is 3,028,013. In October 2017, Time cut its circulation to two million. Life was an American magazine published weekly until 1972, as an intermittent "special" until 1978, and as a monthly from 1978 to 2000. During its golden age from 1936 to 1972, Life was a wide-ranging weekly general interest magazine known for the quality of its photography. 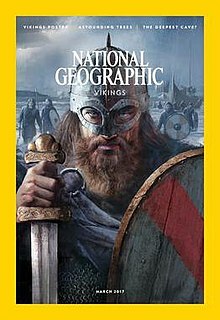 National Geographic is the official magazine of the National Geographic Society. It has been published continuously since its first issue in 1888, nine months after the Society itself was founded. It primarily contains articles about science, geography, history, and world culture. The magazine is known for its thick square-bound glossy format with a yellow rectangular border and its extensive use of dramatic photographs. Controlling interest in the magazine has been held by The Walt Disney Company since 2019. People is an American weekly magazine of celebrity and human-interest stories, published by Time Inc., a subsidiary of the Meredith Corporation. With a readership of 46.6 million adults, People has the largest audience of any American magazine. People had $997 million in advertising revenue in 2011, the highest advertising revenue of any American magazine. In 2006, it had a circulation of 3.75 million and revenue expected to top $1.5 billion. It was named "Magazine of the Year" by Advertising Age in October 2005, for excellence in editorial, circulation, and advertising. People ranked number 6 on Advertising Age's annual "A-list" and number 3 on Adweek's "Brand Blazers" list in October 2006. Popular Electronics is an American magazine published by John August Media, LLC, and hosted at TechnicaCuriosa.com. The magazine was started by Ziff-Davis Publishing Company in October 1954 for electronics hobbyists and experimenters. It soon became the "World's Largest-Selling Electronics Magazine". In April 1957 Ziff-Davis reported an average net paid circulation of 240,151 copies. Popular Electronics was published until October 1982 when, in November 1982, Ziff-Davis launched a successor magazine, Computers & Electronics. During its last year of publication by Ziff-Davis, Popular Electronics reported an average monthly circulation of 409,344 copies. The title was sold to Gernsback Publications, and their Hands-On Electronics magazine was renamed to Popular Electronics in February 1989, and published until December 1999. The Popular Electronics trademark was then acquired by John August Media, who revived the magazine, the digital edition of which is hosted at TechnicaCuriosa.com, along with sister titles, Mechanix Illustrated and Popular Astronomy. Money is a magazine that is published by Meredith Corporation. 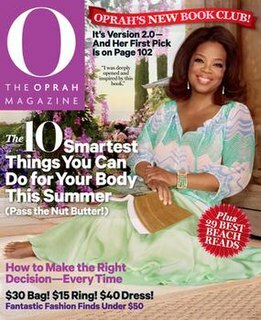 O, The Oprah Magazine, sometimes simply abbreviated to O, is a monthly magazine founded by Oprah Winfrey and Hearst Communications, primarily marketed at women. Mental Floss is an American digital, print, and e-commerce media company focused on millennials. It is owned by Minute Media and based in New York City. mentalfloss.com, which presents facts, puzzles, and trivia with a humorous tone, draws 20.5 million unique users a month. Its YouTube channel produces three weekly series and has 1.3 million subscribers. In October 2015, Mental Floss teamed with the National Geographic Channel for its first televised special, Brain Surgery Live with mental_floss, the first brain surgery ever broadcast live. Star is an American celebrity tabloid magazine founded in 1974. The magazine is owned by American Media Inc. and overseen by AMI's Chief Content Officer, Dylan Howard. Time Inc. was an American worldwide mass media corporation founded on November 28, 1922, by Henry Luce and Briton Hadden and based in New York City. It owned and published over 100 magazine brands, including its namesake Time, Sports Illustrated, Travel + Leisure, Food & Wine, Fortune, People, InStyle, Life, Golf Magazine, Southern Living, Essence, Real Simple, and Entertainment Weekly. It also had subsidiaries which it co-operated with the UK magazine house Time Inc. UK, whose major titles include What's on TV, NME, Country Life, and Wallpaper. Time Inc. also co-operated over 60 websites and digital-only titles including MyRecipes, Extra Crispy, TheSnug, HelloGiggles, and MIMI. The New York Evening Graphic was a tabloid newspaper published from 1924 to 1932 by Bernarr "Bodylove" Macfadden. Exploitative and mendacious in its short life, the "pornoGraphic" defined tabloid journalism, launching the careers of Walter Winchell, Louis Sobol, and sportswriter-turned-television host Ed Sullivan. Marc André Laguerre was a journalist and magazine editor, best known as the managing editor of Sports Illustrated from 1960 to 1974, during which time he oversaw the growth in the magazine from a niche publication to become the industry leader in weekly sports magazines. It was under his leadership that the annual Sports Illustrated Swimsuit Issue was first published. When he retired in 1974, he had been managing editor of the magazine for 704 issues, then a record among magazines published by Time, Inc., SI's parent company. Roy Edward Larsen was an American publishing executive who worked for Time Inc. for 56 years. Following founders Henry Luce and Briton Hadden, Larsen was credited with being responsible for the company's growth and success. At the time of his death he was described as being "one of the most influential figures in the golden age of the company's empire." 1 2 3 4 "Consumer Magazines". Alliance for Audited Media . Retrieved October 6, 2016. 1 2 3 Byers, Dylan (August 7, 2012). "Time Magazine still on top in circulation". Politico . Retrieved October 8, 2018. ↑ "- The Washington Post". Washington Post. ISSN 0190-8286 . Retrieved May 29, 2018. ↑ Ember, Sydney; Ross, Andrew (November 26, 2017). "Time Inc. Sells Itself to Meredith Corp., Backed by Koch Brothers". The New York Times . Retrieved November 27, 2017. ↑ Spangler, Todd (March 21, 2018). "Meredith Laying Off 1,200, Will Explore Sale of Time, SI, Fortune and Money Brands". Variety. Retrieved March 22, 2018. ↑ Shu, Catherine (September 17, 2018). "Marc and Lynne Benioff will buy Time magazine from Meredith for $190M". TechCrunch. Retrieved September 17, 2018. The sale was completed on October 31, 2018. ↑ Lin, Tao (September 21, 2010). "Great American Novelist". TheStranger.com . Retrieved May 30, 2011. ↑ "Watch: The Rise and Fall of Richard Nixon in TIME Covers". Time. Retrieved September 17, 2018. ↑ Hagan, Joe (March 4, 2007). "The Time of Their Lives". NYMag.com. New York Magazine. Retrieved August 22, 2012. ↑ Nussbaum, Bruce (March 25, 2007). "Does The Redesign of Time Magazine Mean It Has A New Business Model As Well?". Bloomberg Businessweek. BLOOMBERG L.P. Retrieved August 22, 2012. ↑ "The Time of Their Lives" . Retrieved April 22, 2007. ↑ Gustini, Ray (May 2, 2011). "A Brief History of Time Magazine's 'X' Covers". The Wire . ↑ Laurent, Olivier (July 31, 2013). "Changing Time: How LightBox has renewed Time's commitment to photography". British Journal of Photography . Retrieved January 6, 2015. ↑ "Guide to the Time Inc. Records Overview 1853-2015". New-York Historical Society. July 23, 2018. Retrieved October 8, 2018.